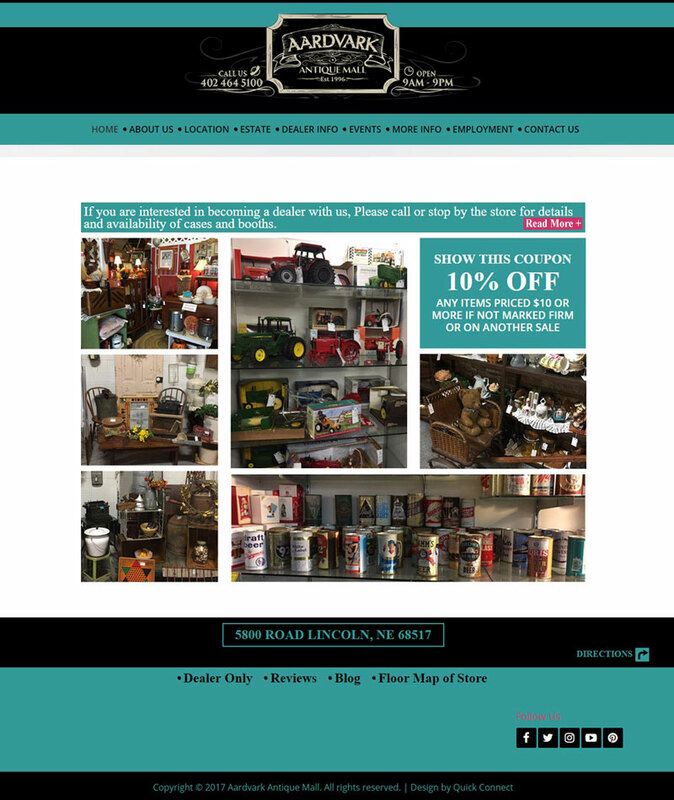 Aardvark Antique Mall wanted a website overhaul from top to bottom. Starting with their logo. We worked closely with the client to make it just the way they wanted it. They wanted a CMS website that would allow vendors to log in for exclusive content, events, and news. Quick Connect designed a one-of-kind antique-inspired website that features an event calendar that vendors and visitors can book events online, allowing AAM to track vendors and guest sellers, send out newsletters to multiple lists and manage vendors. You guys at Quick Connect did an outstanding job in getting my computer back up and running. The computer now is running better than ever! Next time I have a problem with it, you will be getting my business!